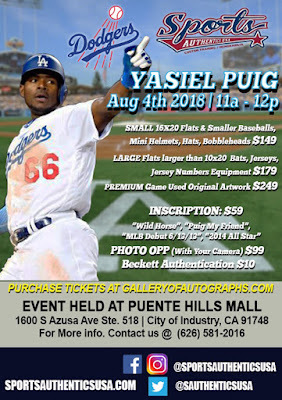 Dodgers Blue Heaven: Weekend Autograph Opportunity: Yasiel Puig! -- UPDATE: Max Muncy, Too! Yasiel Puig will be signing autographs on Saturday, August 4th from 11:00 am to 12:00 pm at the Sports Authentics store in the Puente Hills Mall. Go here for more information. 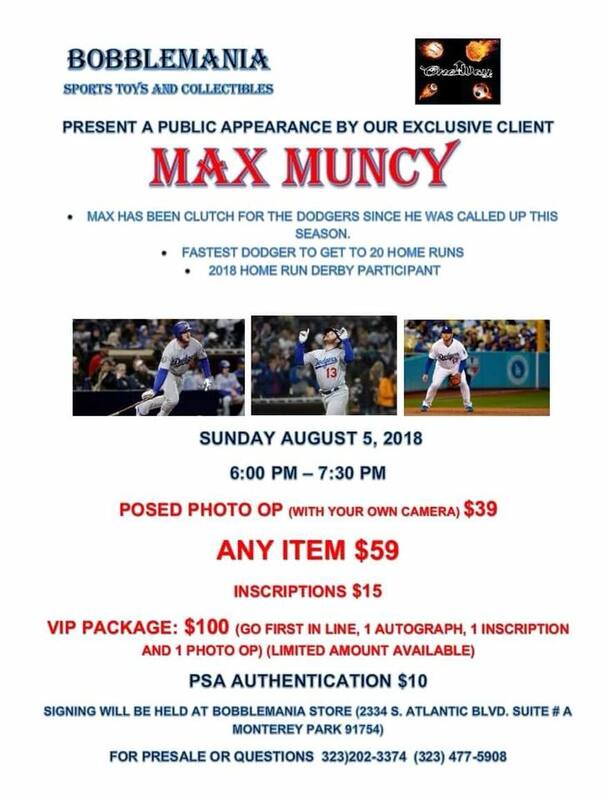 Dodger breakout star Max Muncy is also scheduled to be signing for fans at the Bobblemania store in Monterey Park on Sunday, August 5th from 6:00 PM to 7:30 PM! Go here or here for more information. This is a pay per autograph event.